Posted on 12th August 2011 at 14:26. We may be in financial trouble and on the brink of a double-dip recession, according to some commentators, so is now really the time for businesses to increase their internet marketing budgets? As strange as it may sound, the answer is probably yes. It isn’t just a question of spending to accumulate, nor bucking the trend and investing when others are jumping ship: this is all about doing the right thing for your business. 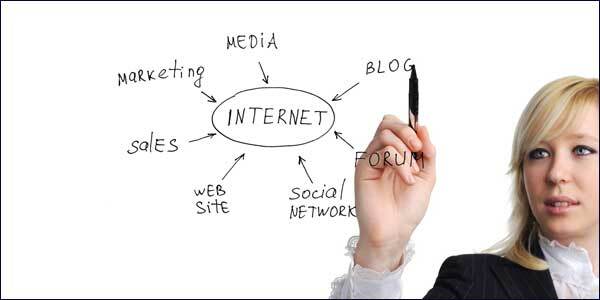 It’s a proven fact that internet marketing thrives during the toughest economic times. If you’re not convinced, or would rather keep a tight hold on your wallet, then consider these facts. Internet marketing is the most effective form of advertising available. It’s the most cost-effective form of online advertising and produces the highest return on investment. It’s also cheaper than its rivals, in that businesses can cut down on office costs, wages and utility costs. Businesses demand ‘measureable’ results from their advertising, particularly during times of minimal growth: they like to see some form of return for their advertising investment. However, offline advertising is notoriously difficult to measure and quantify. Businesses can spend thousands of pounds advertising on television and in newspapers and magazines, but it’s difficult to determine how many people have read or seen the ad. Online marketing is wholly measurable. With internet marketing, businesses can measure not just page views and demographics, but also clicks and most importantly of all conversions. Internet marketing is targeted and focuses purely on those people who form part of your target audience. Businesses know that their adverts will only go to those who have a genuine interest in the product or service on offer. So what’s the basic problem here? Why is there a reluctance to adopt the sort of Del Boy philosophy of ‘he who dares, wins’ and seize the day? As soon as businesses get wind of a recession or an economic downturn, they tend to do the obvious thing and batten down the hatches. This means that they look for areas where they can trim their budgets and save some money. The usual casualty is the advertising budget. If the idea is to trim money from this budget to keep the business afloat, then they’re unfortunately barking up the wrong tree. What they should in fact be doing is the opposite. Other businesses will be doing exactly the same thing, and slashing their advertising budgets too. This leaves an untapped audience out there looking to spend their money. This is the void that needs to be exploited. Every day there are 4 billion searches keyed into the internet, that’s 2.9 million a second. Doesn’t it make sense to target some of those potential customers? Isn’t it more sensible to increase your internet marketing budget when times are tough?